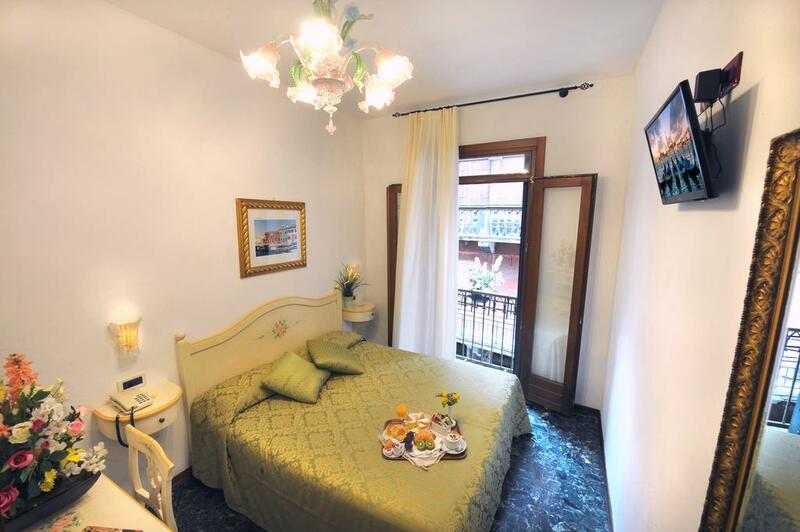 3-star Hotel Mercurio, romatic hotel Venice, offers good accommodations for anyone looking for a comfortable stay in Venice's old town center, a few minutes away from La Fenice theatre. The hotel features a wide variety of rooms and suites with a view appropriate for a romantic getaway, roomy enough to host families of 4 or 5 members, or to attend a cultural or business event in Venice: quiet, polished, convenient and with an excellent selection of comforts. Each room features different views of Venice, including glimpses of intimate alleys, gondolas floating by, and listening to the gondoliers’ serenade along the characteristic Canale dei Barcaroli or admire the façade of the palazzo, which, according to the sign on the façade, hosted Wolfgang Amadeus Mozart. The interior of the building, which recently underwent renovation, features elegant style furnishings, restful tones, sober gold moulding and curvy Murano lamps. Room amenities include private bathroom with shower and hairdryer, SAT TV, free Wi-Fi, safe, direct phone line and air conditioning. 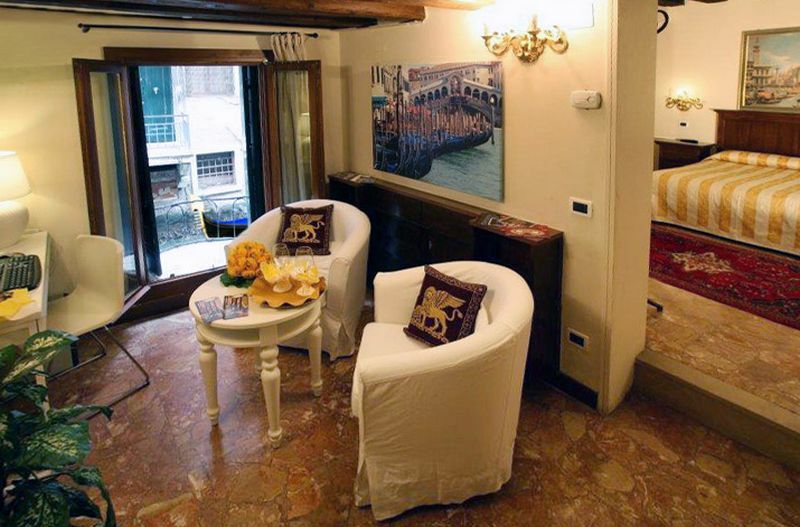 get the best of Venice, comfortably and with minimum expense. 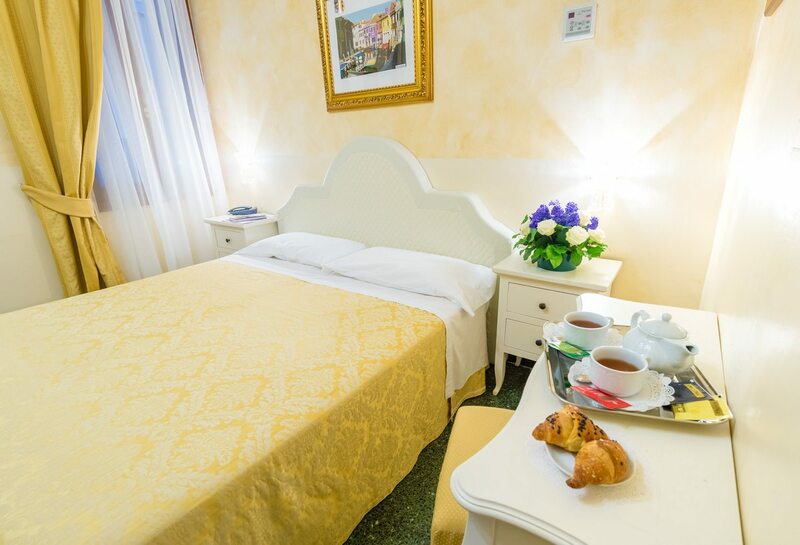 everything you need for a memorable stay near La Fenice theatre at a fair price. excellent comfort, with a touch of refinement . for an unforgettable stay, where nothing is left to chance. Also with canal view.